These crispy outside, meaty inside, crunchy, salty mouthfuls of Greek vegan goodness will make you forget all about the sad, over boiled, soggy, sulphury brussel sprouts of the past. So quick and easy to make, you’ll never look at this veggie the same way again. 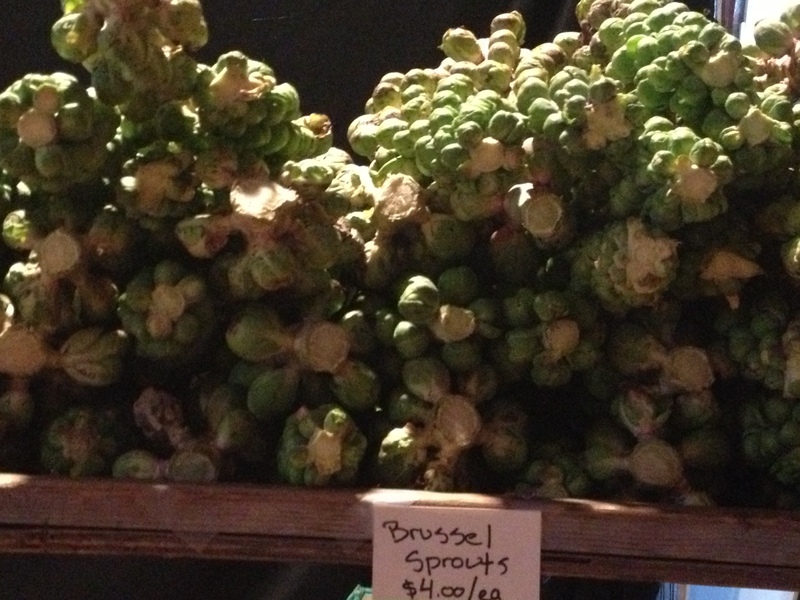 Whenever you can, buy brussel sprouts on the stalk. Don’t be intimidated! The sprouts pop right off the stalk with a gentle tug and they are so much fresher this way. Whether you find them on the stalk or already picked, take a minute to remove the outer leaves of each sprout. Any that are yellow or wilted definitely need to go. You want a cleaned bright green and white sprout with no loose leaves. The spices in this recipe are all flavors of Greece but you can certainly add or substitute your favorites instead. I love this combination because the earthy, strong flavors of the spice mixture are a perfect complement to the delicate, buttery sprout. As always, whenever possible try to grind your spices right before using. Make sure to combine the seasonings well and cover all sprouts completely with oil/spice mixture. Keep an eye on your sprouts while they’re cooking. 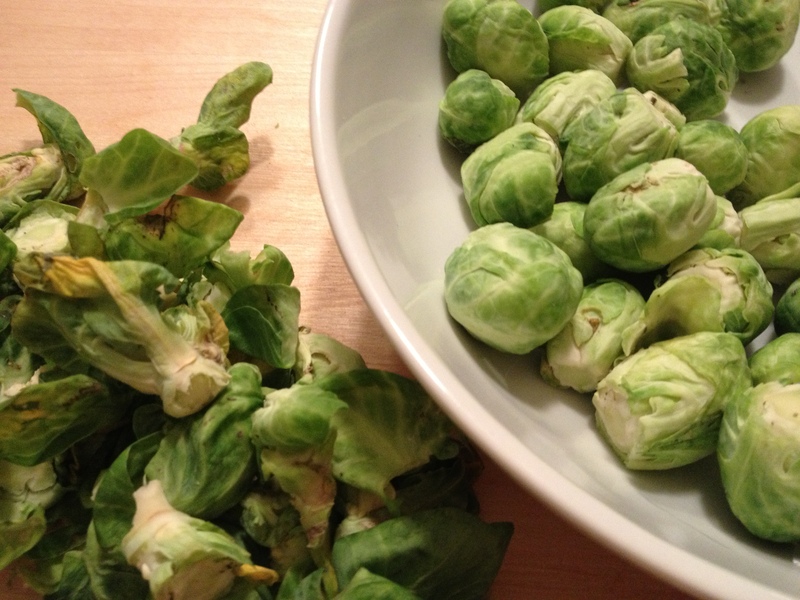 Depending on the size of your sprouts, they may need a little more or less time in the oven. The recommended time here for a medium sprout is 20 minutes so to be safe check yours at 15 minutes and I wouldn’t let even a big sprout go for more than 25, max 30 minutes. You want to get a nice brown crispy outer sprout with a fork-tender inside. 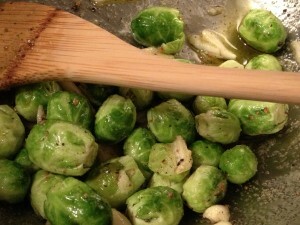 Clean brussel sprouts, rinse/dry well. Combine all ingredients except sprouts. I like to use fresh garlic but feel free to substitute a good quality garlic powder instead. Mix well and add brussel sprouts covering them completely in oil/spice mixture. Spread sprouts evenly on large baking sheet in a single layer. Bake at 375 for 20 minutes or until they are light to medium brown and can be pierced through with a fork. Serve warm from the oven topped with fresh oregano, a squeeze of lemon juice and a piece of crusty bread for a delicious, simple and very healthy meal. Kali orexi! Absolutely delicious. 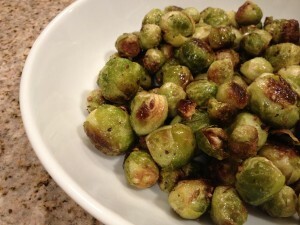 . . my brussel sprouts always came out with those mushy centers. . . not with this recipe. 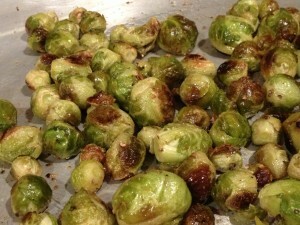 I will be roasting brussel sprouts more frequently now as part of my new nutritional program! Thanks for recipe.